City planners have decided that the expense of a new pedestrian tunnel in San Jose is indeed justified when weighed against public safety. That’s good news for folks who live in or travel through Santa Clara’s busy Caltrain station. As of now, individuals have to cross two sets of tracks on foot if they want to get to or from the platforms on either side of the railway. Once the tunnel is complete, pedestrians and cyclists can safely cross underneath the tracks without putting themselves in harm’s way. This seemingly minor safety improvement is monumental because it marks a positive turn in public thinking and it will hopefully significantly decrease the number of personal injury accidents in the area. Ten years ago spending $14 million on a project that benefits a handful of residents would have been unthinkable. However, with the number of deadly and injurious pedestrian accidents in San Jose rapidly increasing to match California’s own terrible record, the officials in charge of the purse strings have realized that lives can and should be saved. But the move wasn’t 100% altruistic – of course. A Caltrain spokesperson said the tunnel would also serve to get more people on the train as ease of access was a priority concern for potential riders. While many of us might see this as Caltrain trying to squeeze more money from commuters, it actually falls in line with public policies being enacted all throughout California. City planners and other government officials have deemed that one of the best ways to decrease the number of pedestrian personal injury accidents in California is to decrease the congestion on city streets. The only way to do that is to offer people transportation alternatives that they’ll actually use. And these alternatives couldn’t have come at a better time. As a San Jose personal injury attorney, I see far too many avoidable pedestrian accidents. The number of fatal pedestrian accidents in California is at a 20 year high. That’s an image that clashes with the laid back one we’ve tried hard to cultivate over the years. In fact our great state has come under fire from the national media in recent years simply because the cities we deem most walkable are also some of the most dangerous for folks to navigate on foot. That contradiction isn’t lost on safety advocates. They’ve been pressuring government officials for years to change the way planners think and de-emphasize the role of automobiles on our steers. While it’s impossible to ever really replace the car completely, giving people healthy, environmentally friendly, and cost effective alternatives is a great way to kill two birds with one stone. As an experienced pedestrian accident attorney in San Jose, I think that any infrastructural improvement designed to separate automobiles and pedestrians is a good idea. While pedestrians do have a duty to watch out for their own safety, the vast majority of such collisions occur simply because drivers aren’t paying close enough attention to their surroundings. 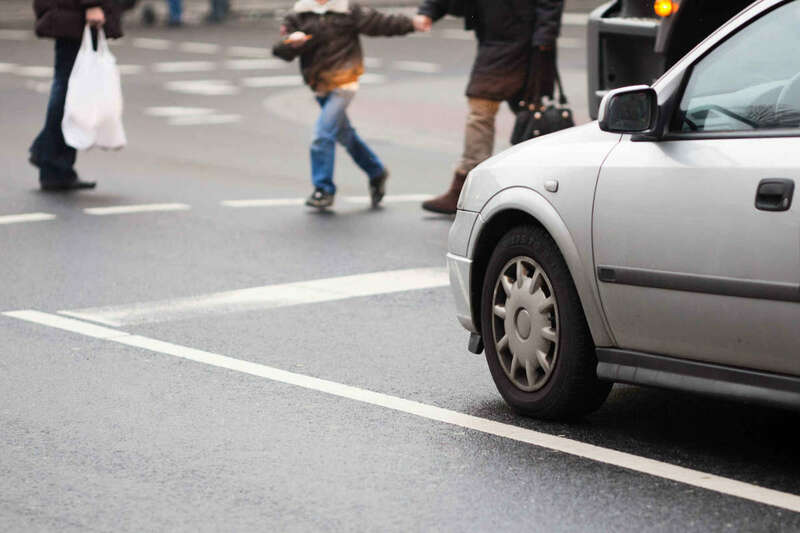 Speeding, distracted driving, and recklessness are top contributing factors to pedestrian accidents in San Jose and the number one excuse at fault drivers give personal injury accident investigators is that they simply did not see the person walking in front of them. This pedestrian tunnel is just one of the many engineering projects in San Jose designed to eliminate at least some of the risk for pedestrians and bicyclists in the city. While one simple project really won’t make a huge difference, it is the hope that all of these projects will have a cumulative effect and that by increasing public awareness about the dangers automobiles pose for pedestrians that we can all walk safer. However, if you’re injured by a reckless of distracted driver, the law is still on your side. Contact an experienced pedestrian accident attorney in San Jose to discuss your legal options. Sally Morin Personal Injury Lawyers’s San Jose personal injury lawyers have help people just like you put their lives back together after horrific automobile crashes for over 20 years. Call Sally and her team at (415) 413-0033 today or get a FREE online case evaluation to see if we can help now.